Crowdsourcing is a fantastic way to engage a community on the internet but you need to be careful what you ask for and make sure you know your crowd. When The National Environment Research asked the British public to name a new polar research boat it offered up the flippant moniker Boaty McBoatface. UK Science Minister Jo Johnson has stepped into the fray and announced that the vessel will be called the RRS Sir David Attenborough. But Boaty McBoatface will live on as the name of a yellow submarine on board the ship. It's a commonsense ending to a crowdsourcing exercise that went awry but ultimately has achieved huge public engagement in British Antarctic research. The RRS Sir David Attenborough is being built on Merseyside and is due to set sail to Antarctica with 90 scientists in 2019. 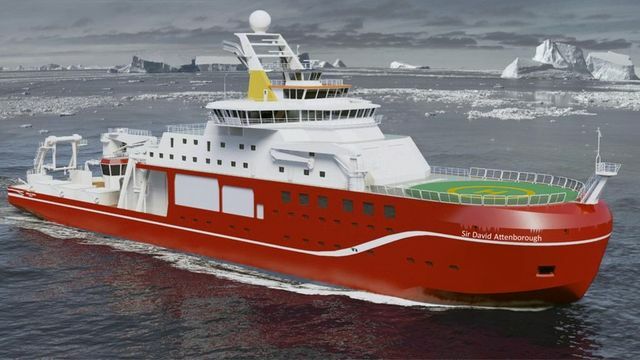 The UK's new polar research ship is to be named RRS Sir David Attenborough, despite the title "Boaty McBoatface" previously topping a public vote. A website inviting name suggestions had attracted huge interest, with Boaty McBoatface the runaway favourite. But Science Minister Jo Johnson said there were "more suitable" names. On Friday, days before Sir David turns 90, it was announced that the £200m vessel will be named after the world-renowned naturalist and broadcaster. Sir David said he was "truly honoured" by the decision.